This B&H Kit combines the QNAP TVS-951X 9-Bay NAS Enclosure with five Seagate 12TB IronWolf 7200 rpm SATA III 3.5" Internal NAS HDDs for a total storage capacity of 60TB. 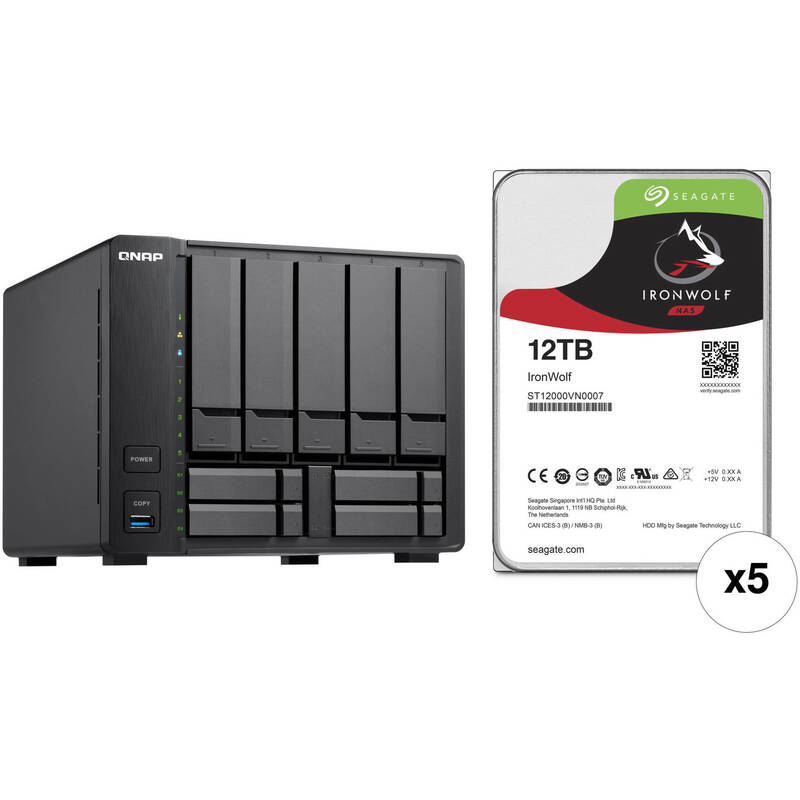 Store your critical data on the 12TB IronWolf 7200 rpm SATA III 3.5" Internal NAS HDD from Seagate. The IronWolf is designed for corporate environments that utilize multi-drive systems and servers. The NAS hard drive provides an ample storage capacity of 12TB and is built to withstand 24 x 7 operations. It is outfitted with a SATA III interface and mounted in an available 3.5" drive bay. Other notable features include a 7200 rpm spin rate and 256MB of cache to deliver a maximum sustained data transfer rate of 210 MB/s. Box Dimensions (LxWxH) 7.8 x 6.0 x 2.4"